It’s no secret that we are slowly losing a lot of our traditional practices such as weaving, carving and so on. 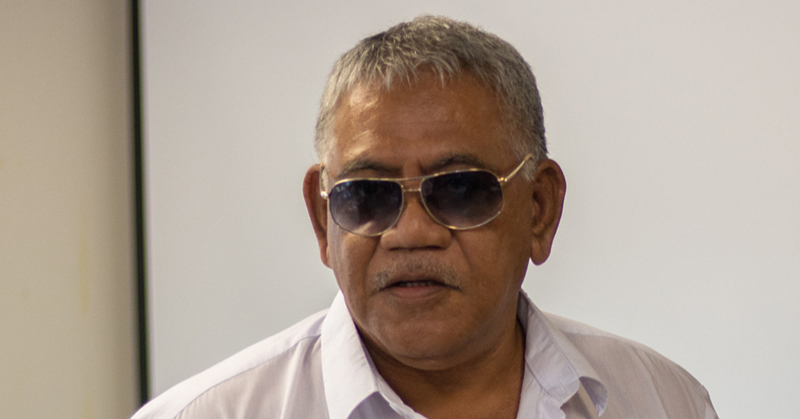 But Iese Alai’a, from the village of Sauano, Fagaloa, says if only people knew just how much money they can make from traditional practices, things will be very different. The 40-year-old carves hardwood into objects for sale to take care of his family. He explained that it is a talent that he was taught while he was young and he is now making good money from it. “This talent is what we have been doing in the village since we were very small,” he told the Village Voice. “As we grew up developing our wood carving skills, we started to see that this was also a very good way of making money. We also noticed that the money we could make from this practice is a lot more than what we could make from working in an office job. Iese says that carving brings him joy, especially thinking about the money he can make once his work is done. “The one thing that makes me happy about honing these skills passed down by our ancestors is that it’s really making a lot of money,” he said. “It’s pretty much like carving wood into money. When someone comes and wants a traditional bowl (tanoa) or something else then we can make an easy $300 on that day. Asked if there are any issues with his work, Iese says that finding material is the only problem he runs into. “There aren’t many issues with this type of work,” he said. “I think the only problem would be looking for the material, the wood to carve into objects. We have to use a specific hardwood for carving but these days it’s so hard to find it. 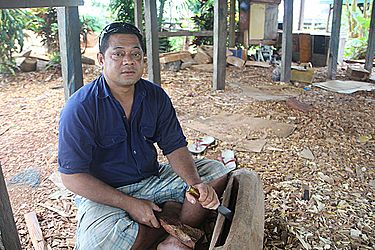 Without anyone in his family currently employed, Iese says that every carving he sells is what puts food on the table. “I am the breadwinner of my family,” he said. “We don’t have anyone currently working so all my carvings are what puts food on the table. I have four children and my carvings put them through school. “I have been carving for over ten years now to make money. But even before that, when I was in school I would practice my carvings every time I got home. I would sell a few carvings during school.